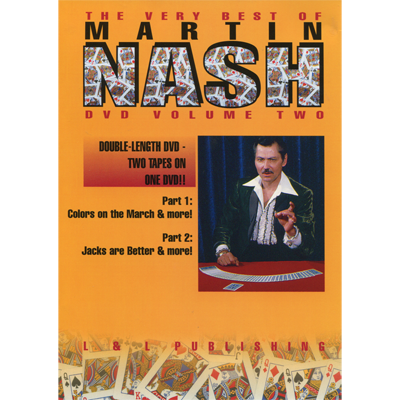 Martin A. Nash, "The Charming Cheat," is one of the top cardmen in the world. For years, he has been one of the most popular performers in the Magic Castle's Close-Up showroom and his technical ability and routining are unsurpassed. On this three-volume set of downloads, the secrets of the best of Martin's routines are revealed. - SEGREGATING THE COLORS .